The area known as Chachapoyas was a region conquered by the Incas in the late 15th century. The fate of indigenous populations was only noted down from Spanish records based largely on Inca oral histories. 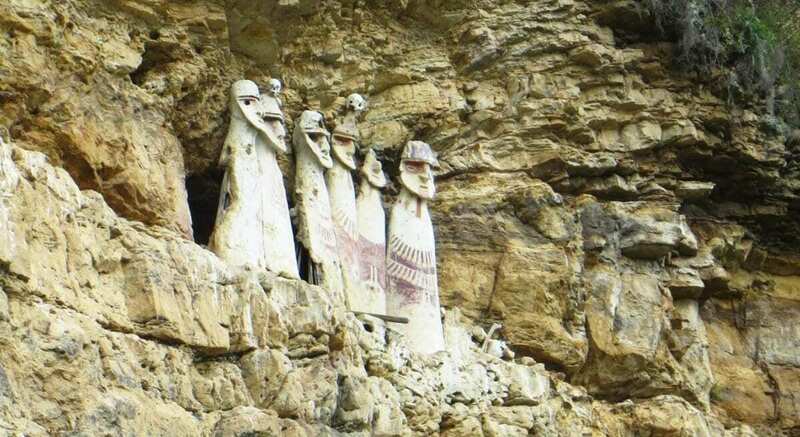 Writings by the major chroniclers of the time, such as Inca Garcilaso de la Vega, were based on fragmentary second-hand accounts and claimed that the Chachapoya culture was resettled and assimilated across the Inca Empire. A study by an international team from the Max Planck Institute for the Science of Human History has used genetic evidence to discover that genetically, the indigenous population has remained distinct to this region. It was originally thought that the Incas resettled millions of people from across the Empire into Chachapoya in order to punish and secure control of the region. “By targeting various linguistic indicators, we were able to pinpoint a genetic signal in Chachapoyas that turned out to be far more diverse than we expected, especially in the male line, from father to son,” explains Chiara Barbieri, a geneticist at the Max Planck Institute for the Science of Human History in Jena, Germany, and lead author of the study. “First of all, there’s still a strong surviving Native American component, despite all the admixture with European genes ever since the Spanish conquest. What’s more, here the native component is quite different from the main genetic network in the highlands of central and southern Peru. This is where the Inca Empire and its predecessors originated, and their conquests, road networks and empire-building ended up homogenizing the genetic make-up here.” The current study reveals how the people of Chachapoyas, by contrast, remained relatively isolated. “So it seems that some genetic legacy of the Chachapoyas did indeed resist Inca impacts, all the way through to today,” explains Barbieri.